This oceanfront oasis, located on a half-mile stretch of the dazzling Bahia Petempich Beach, will provide you with some of the most gorgeous ocean views for your entire wedding celebration. Relax by the beach in a private king-sized beach bed or take a dip in the warm aqua-colored Caribbean waters during your stay. The resort is very family-friendly, including character meet and greets from Nickelodeon shows and a slime slushy upon check-in, making it perfect for those who want to include family members of all ages at their wedding. Guests will enjoy the jungle themed atmosphere throughout the entire hotel with koi ponds and lush, local plants and flowers. This resort does not offer a buffet, instead their hotels take pride in their freshly made food and salad bars in the restaurants. 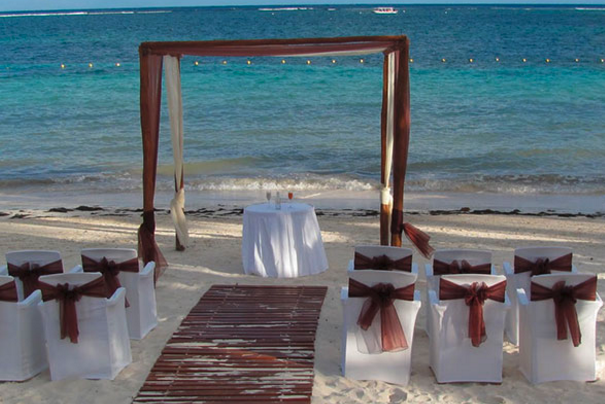 We are one of the Karisma hotels preferred partners, so we are able to offer additional amenities to our couples including a free cocktail-reception, photo credit, or a bridal spa package! Contact us for more details. 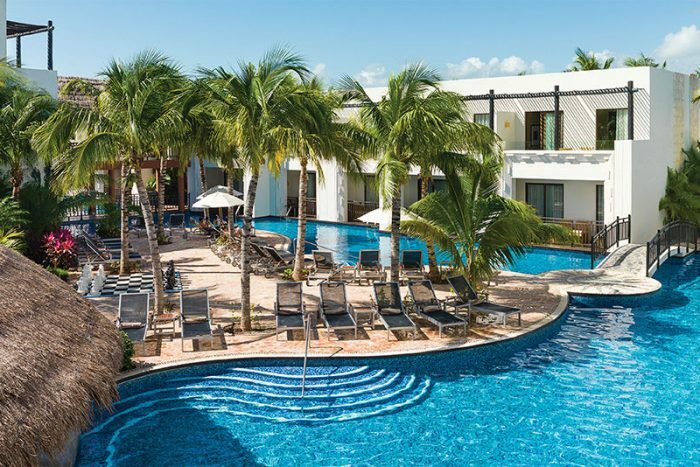 The base package is $950 and includes up to 40 guests, complimentary in the North American market for wedding couples staying in a qualifying category for 7 nights or more, and booking a minimum of 5 rooms for 3 nights. Upgraded packages, additional guests, and add-ons are available for an additional cost. 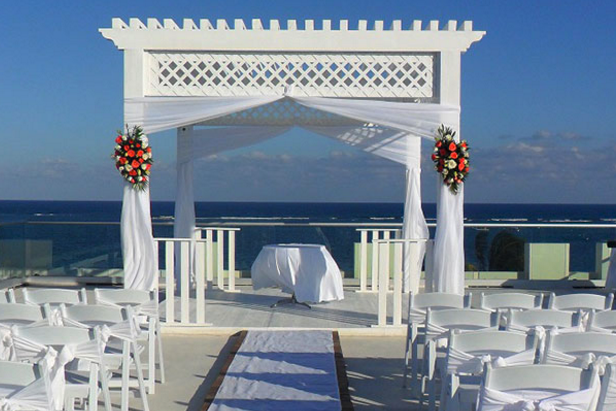 Ballroom – 70 guests max, Beach Gazebo – 50 guests max, Sky Wedding Deck – 65 guests max, Lobby Area – 50 guests max. 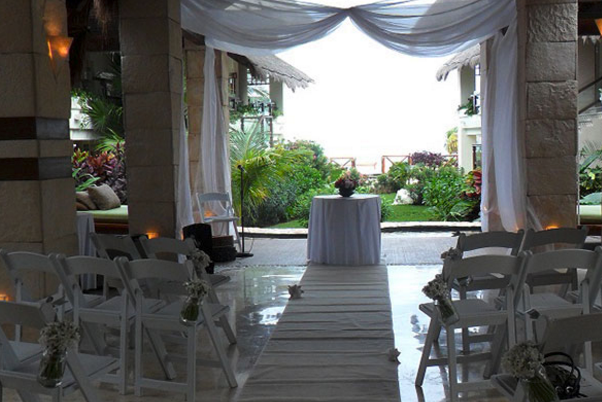 Weddings are offered Monday thru Sunday, typically at 1pm and 6pm, but the resort if very flexible. There is not a set number for how many weddings will be held a day at this resort. They are accommodating to all requests and will separate all weddings with a 2-hour window. The wedding coordinators typically take 24 hours to respond. During peak seasons, they may take up to 48 hours to respond. Rooms range from $180 – $240 per person per night. There is a Wedding Suite specifically for brides that includes a private vanity area, in-suite jacuzzi, and a mannequin for the wedding dress! 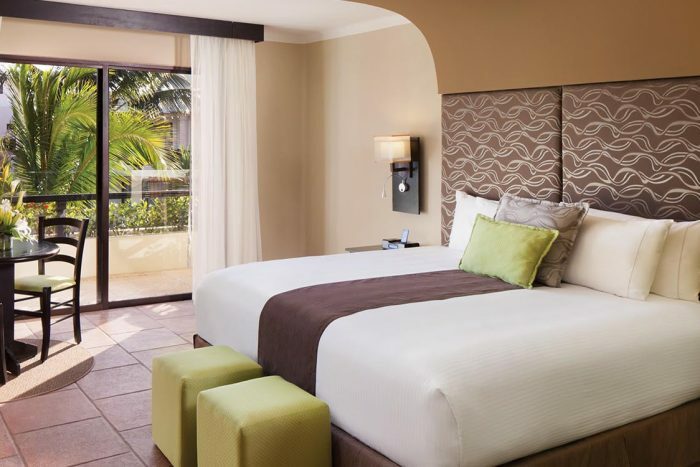 Most rooms have been recently been renovated to upgrade furniture and decorations, featuring a Caribbean-style inspiration. Children 3 and younger stay free. 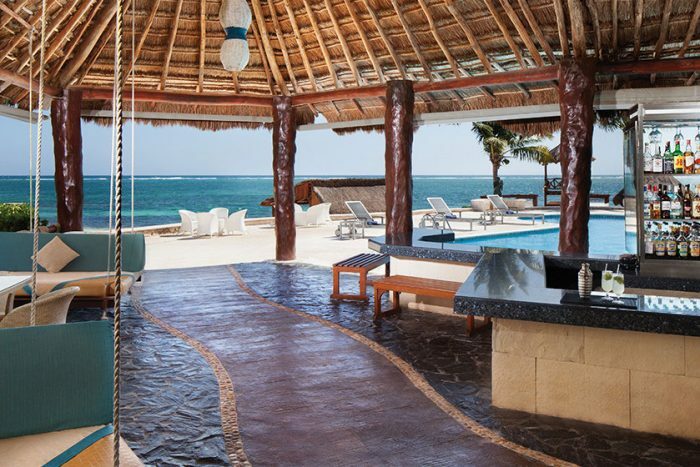 There are 148 total guest rooms with views of the Caribbean Sea or the garden. All guest rooms are spread throughout the property between 11 villas, all of which are just steps away from the beach. High season months typically include May, June, July, August, September, October, November, and December. It is always encouraged to have your guests book their stay 6-12 months in advance. The hotel has rooms that will allow up to 2 adults and 3 children or 3 adults max. There are adults-only rooms available. Children are ages 12 and younger. 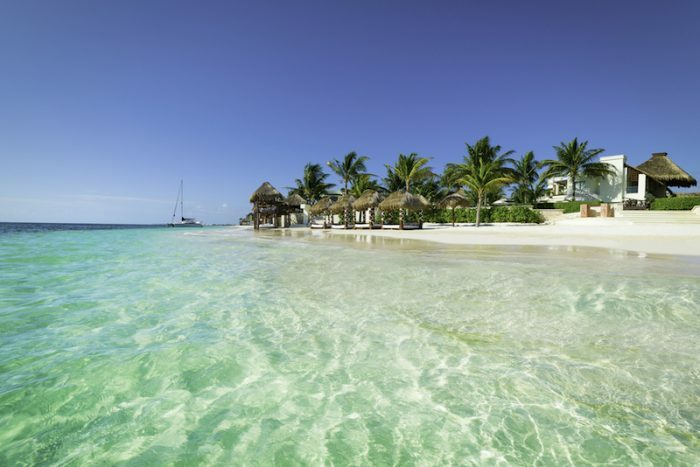 This property is located 13 miles from the CUN airport.